We started this festival August 2014 as the 6x10 Festival. Since then, this festival has just grown dramatically. 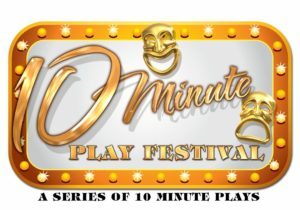 We have added additional performance days and in 2017 decided to produce 10 of the plays since we have such an overwhelming number of scripts submitted. In 2018 we received over 400 scripts from 35 states and 7 different countries! Thank you to everyone who submitted a script for consideration. Our readers are working on reading the scripts and we will announce in May on this page and our facebook page the selections. We are not accepting any additional scripts. All performances are at 8 pm except Sundays, which begin at 3 pm. Information on director application guidelines as well as auditions for actors will be posted after the plays are selected.